Keele University revealed it is in talks with Shropshire's Harper Adams University to create the joint venture, which could also act as a magnet for attracting highly-skilled jobs to the area. The school could open as early as 2019 and cater for 100 students a year, who would split their time between the two campuses and complete placements with local vet practices. Those taking the five-year veterinary science degree – awarded jointly by the two universities – would also have access to the latest technology, such as robotic milking parlours. It comes just as the animal care industry faces major challenges linked to Brexit, with half of all the people registering as new vets coming from outside the UK. Professor Jonathan Wastling, pro vice-chancellor and executive dean of natural sciences at Keele, stressed the idea for the vet school pre-dated the referendum vote. But he added: “If you speak to the large commercial practices, it's a struggle to recruit." It would be only the ninth vet school in the UK and the first in the West Midlands. 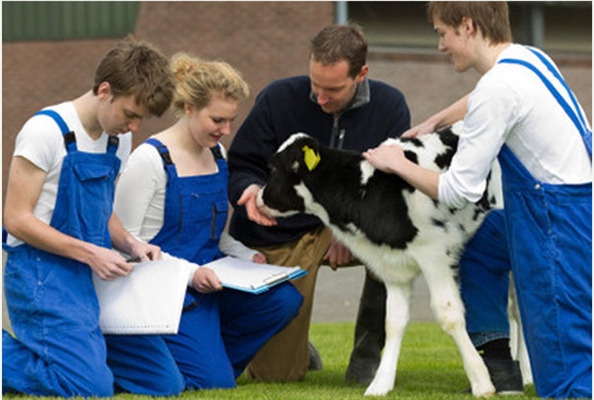 At the moment, seven applicants are chasing every one veterinary degree place. Professor Wastling said they are particularly keen to attract teenagers from the Potteries who may never have considered it as a career option. He hopes to build on the success of Keele's medical school, which has also attracted a cluster of medical technology companies to the university's science and innovation park. At least one unnamed firm is already in talks about relocating there on the back of the veterinary plans. Keele and Newport-based Harper Adams – which specialises in agricultural and animal science courses – agreed a 'memorandum of understanding' to take the proposals forward. They will be working with the Royal College of Veterinary Surgeons to gain accreditation. Students on the prestigious degree course would learn a wide range of skills, equipping them for careers either treating domestic pets or farm animals. And with farming communities across Stafford, Newcastle borough and the Moorlands, there could be big demand for their services. Staffordshire's dairy farming alone is worth £122 million to the local economy and accounts for more than eight per cent of England's dairy production. Professor Peter Mills, deputy vice-chancellor of Harper Adams, said: “It will also open up new avenues for livestock research, advanced veterinary training and knowledge exchange, ultimately to the benefit of the farming sector." Jeremy Lowe, the National Farming Union's Staffordshire adviser, welcomed the plans, which he said would tie in with growing employment opportunities in agriculture and linked industries. He added: “Our members work closely with their vets to maintain and enhance our already high animal health and welfare standards. This remains a top priority for regional farmers. “Both universities have the drive and infrastructure to make the veterinary school one of the best in the country." Another vet college - university makes more money; the vet students don't even get a teaching hospital, get inadequate training and practical skills, won't get decent incomes as things look, and the job vacancies have everything to do with the pathetically short average career spans of UK graduate veterinary surgeons. Too many lecturers I know also complaining bitterly of their conditions, and the standards of the students education. Have the data changed on average career of 6.5 years? What is the investment in training to become a vet? What are average vet incomes? What are the suicide stats in the profession? How does another vet college help? A matter of grinding out more of the same - to help perpetuate the same pityful conditions of pay, and poor job satisfaction. A radical rethink of vet education and efforts to improve the working conditions of vets is very sorely needed! Not impressed with this announcement.